The ScientifEQ laboratory has been developed in conjunction with the University of Liverpool, under a knowledge transfer partnership. It has been developed solely for the examination of equine dung samples and employs superior technology and quality control processes. When you send back your dung it is seggregated and tested twice. Two tests for the price of one!! This is so important as even in a small sample there can be a huge variation between the results. Most commerical labs in the UK only test once, and this is where mistakes can occur. The technicians at ScientifEQ are so fanatical about accuracy that if the two results have a wide variation then they go back to the fridge where they have some of your dung set aside and test that twice as well. You now have 4 tests for the price of one. How do they do it? 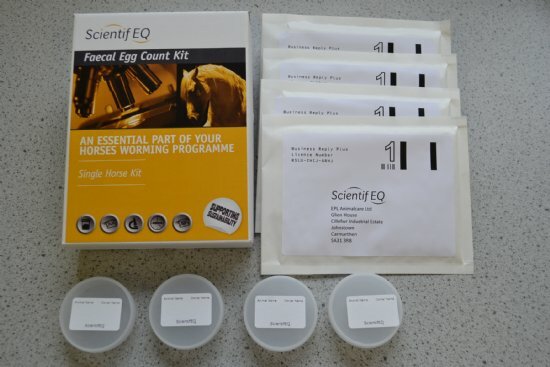 Even better if you become a customer of ScientifEQ and see worms in your horses dung then they will identify it at no additional charge.